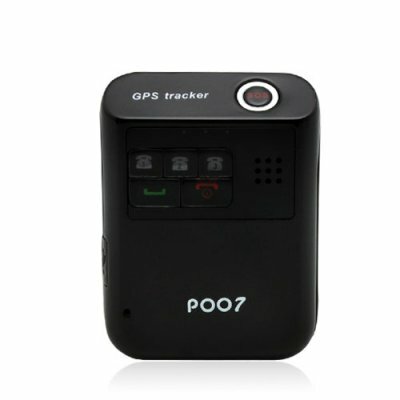 Successfully Added TrackPro - Mini Global GPS Tracker to your Shopping Cart. This Mini Global GPS Tracker is a next generation personal GPS tracking gadget that is compact, accurate, discreet and reliable. With Quad-Band GSM connectivity, the TrackPro Mini Tracker works anywhere in the world. It is as small as a set of car keys and can be easily placed inside your pocket/handbag/suitcase/backpack/etc. You will enjoy a piece of mind knowing exactly where your loved ones or valuable assets are. It even comes with a lanyard for securing the tracker to your pets if you want to know where they have been. Who This Product Is For: Parents who want to track of where their children go and adult children who want to keep track of their elderly parents for safety purposes, nature lovers and wilderness enthusiasts, even businesses for purposes of fleet logistics or driver expense reports will benefits from this amazing device. The TrackPro - Mini Global GPS Tracker with quadband functionality, two way calling, and SMS alerts is in stock right now for single piece and bulk purchases. These devices usually go for twice the price, but this one is proudly brought to you at a factory-direct price from the leader in wholesale electronics, Chinavasion. Does this GPS Tracker have an onboard speaker and MIC? Yes, the Mini Global GPS Tracker with 2 Way Calling comes with a built-in speaker and MIC for you to hold to your ear and use like a cell phone. The sound quality is excellent. Kind of. You will be able to receive calls from anyone that dials the phone number associated with the SIM card in the tracker. You can only dial out to the 3 numbers pre-programmed by you in the GPS tracker.